As an Acoustic Live-Looping Artist, Spirit creates music like a painter generates a painting. A painter adds to the canvas with every stroke of the brush, and within time, a masterpiece is created. Spirit achieves the same results by only using his acoustic guitar to create layers upon layers, with your ears being the canvas – for every song – at every performance. The amazing organic result is then topped with a strong vocal performance. “I love a well written song, with solid hooks and structure – melodies that take you to places, or make you think, or let you dream. I enjoy the authentic sound of a live performance, bringing a familiar tune – or my original music to people. 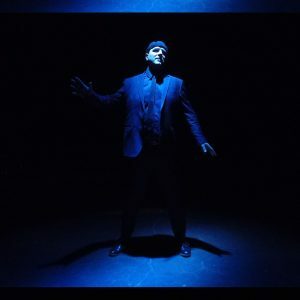 I consider it a privilege to do so.” Whether performing a smooth melodic Gershwin tune, or picking out a classic pop song from Michael Jackson or Maroon 5, the audience is left with an emotional feeling of fulfilment with every note. More than just an acoustic guitar player / singer, Spirit is a proficient live performer, equally with Percussion, Bass, Lead Guitar, Rhythm Guitar, and vocal abilities. Collectively, the sounds you hear at a performance are created organically through his acoustic guitar, which means all performances are live, using no pre-recorded tracks or synthesized sounds. Add this with years of touring and completing over 250 performances per year, Spirit is a hard working and seasoned artist who provides a fantastic sound experience with every performance. His first album “All The Pieces” (@2014) demonstrates a fresh and unique combination of modern penmanship, layered with melodic melodies and catchy riffs. Songs begin with a single instrument, which are eventually layered upon to complete the work. 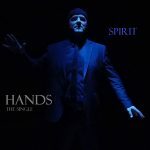 Spirit has released (2018) his first 3 singles from his upcoming sophomore album entitled “Hands“. 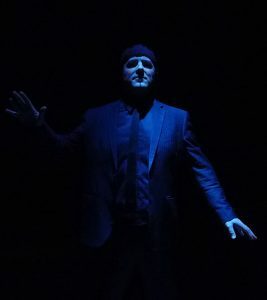 Three singles “Give It All Back”, “Where, Oh Where”, and “Hands” (self-titled) are created using a modified version of the acoustic live-looping process – which cuts through the preliminary creation, and gets right to the song. The full EP will be available in the spring of 2019. Since placing Top 20 in the Vancouver area in a recent CBC Song Contest with his single “Come To Think Of It”, he has sold out shows and warmed up for bands such as “54-40”, “PLATINUM BLONDE” (YouTube link below), and for Juno award winners “CHILLIWACK” and “PRISM”. He has performed at the Hard Rock Casino Vancouver Grand Opening, and was invited to return to One Year Anniversary in January 2014, with “BIF NAKED” and “, alongvwith performng at other Great Canadian Casino locations. Spirits singles and albums can be found at iTunes or CD Baby. Just click! Follow Spirit on Social Media platforms, to see where his next performance is! Inquiries, click on the CONTACT page.